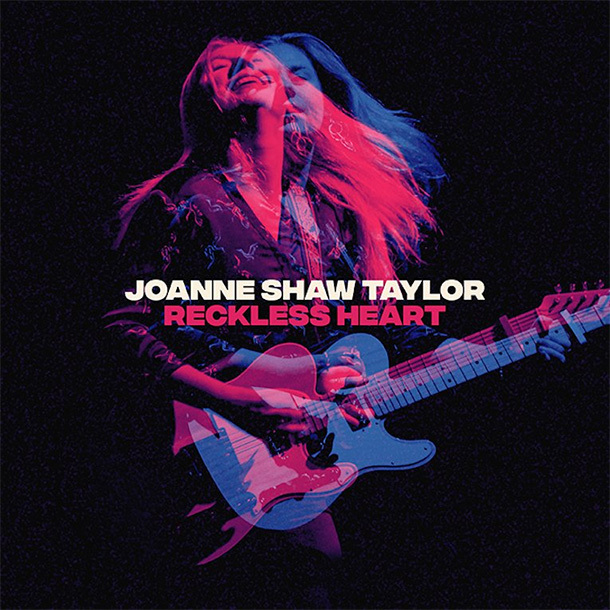 With a singular voice that will stop you in your tracks, British guitar siren and dynamic songwriter Joanne Shaw Taylor will be unleashing her new album in the U.S. where audiences have been discovering her formidable talent that has already blazed a path of overseas acclaim. Reckless Heart, out on May 17th via Silvertone/Sony, is available now for pre-order. On the heels of playing to packed venues across the UK, Joanne – a powerhouse performer – will bring her enthralling live show to the States for a run of headline dates and festivals across the country. The U.S. tour kicks off May 17th in celebration of the release of Reckless Heart and will continue through the fall. Featuring Joanne’s smoky rasp that rises from the legend of soul greats, Reckless Heart finds her in glorious form and a mischievous mood, one minute bearing her claws with catty lyrics and the next deliriously in love. Illuminating all the corners of her firecracker personality, Reckless Heart was borne out of a newfound openness and confidence that can only come with life experience. Both a make-up and a break-up album, it was written by Joanne during two phases of a relationship: the fall out and getting back together. The 11-song collection explores emotions ranging from blaring anger to flirty love, from the rollicking “In The Mood” and the gritty, gospel-tinged “Reckless Heart” to the gorgeous, acoustic guitar-led “Break My Heart Anyway” and the unplugged gem “Jake’s Boogie,” recorded entirely live. In several senses, it’s an album of firsts for Joanne – the first made in her adopted home town of Detroit, the first produced by her close friend Al Sutton (Greta Van Fleet, Kid Rock), the first largely recorded live (with no guitar pedals, and with some of Detroit’s best musicians – among them jazz drummer Ron Otis, bassist James Simonson, and keyboardists Phil Hale and Chris Codish), the first to feature an unplugged solo performance, and the first with her new label home Silvertone/Sony, following in the footsteps of Silvertone artists that she grew up listening to like Buddy Guy, John Mayall and Stone Roses. But it’s also an album that pulls the past into the present. The good-time grooves of vintage, British blues-rock are given a modern makeover, while Joanne’s cut-to-the-bone vocals take their cue from her soul heroines like Aretha Franklin, Tina Turner, and Mavis Staples. Throughout her career, Joanne has won over fans such as Steve Wonder, Joe Bonamassa (whose band played on Joanne’s 2016’s UK Top 20 hit album Wild), Foreigner (whom she opened for at venues like Royal Albert Hall) and Annie Lennox (with whom she performed in front of Buckingham Palace for the Queen’s Diamond Jubilee concert in 2012). Discovered at age 16 by Eurythmics co-founder Dave Stewart, she has spent a decade releasing increasingly successful albums, touring the world, headlining festivals, and amassing awards, and 2019 is sure to bring a lot more from Joanne.